It begins with the death of Camille’s mother. The condolence cards are pouring in, but there is one letter that is different from the others. The letter comes with no return address from a man name Louis, a man that Camille does not know, and it tells of the girl he once loved, Annie. At first, Camille believes that she is receiving these letters by mistake, although that does not stop her from reading them. Louis continues sending Camille letters, telling more and more of Annie’s story, including her burgeoning friendship with a wealthy woman who wants a child more than anything, yet cannot have one of her own. As Camille continues to read Louis’s missives, she begins to wonder if her receipt of them really is a mistake, after all. I feel like my comment about lots of books these days is that they are slow going initially. Maybe it is me? Am I having trouble getting into things? Maybe. But The Confidant started very slowly for me. So slowly, in fact, that I wasn’t sure I was going to want to finish, or that even if I did I would be able to give it a good review. I kept listening, though, and without realizing exactly when it happened, I began to be sucked into the story Gremillon created. Perhaps it was the modern frame to what is primarily Annie’s story, or perhaps there’s a bit of a difference of style in French works and it took me time to acclimate. Eventually, however, I found myself gripped by what was happening to Annie. Camille’s story was necessary, but even by the end I was not as invested in her as I was in Annie, a young woman essentially tricked into doing all sorts of things that a girl of her age really should not have been doing. 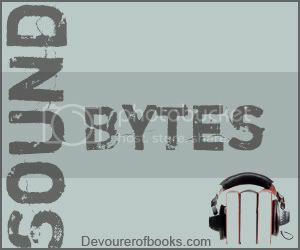 The one thing about The Confidant that I do not think is at all responsible for my slow start with the audiobook is Ellen Archer’s narration. This is a very emotional story, set during a very emotional time in Camille’s life, and it could have easily tipped into melodrama. Archer, though kept the emotion without succumbing to the drama. 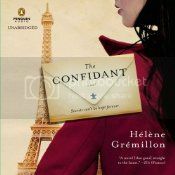 Set primarily in France in the years leading up to World War II – Camille’s portion of the story takes place in Paris in the 1970s – The Confidant is an intriguing, if initially slightly slow, story with great narration. I’m glad the slow start didn’t stop you from reading altogether. It seemed to be worth it in the end. I love your Friday link ups!! I looked on Friday and missed the link…so I’ve done so today!!! Thank you. I agree, this book was “good” but not “great”. I enjoyed it, but that’s about it. I guess I thought I would really, really like it, but that didn’t turn out to be the case.